Originally from Jacksonville, Arkansas, Dale attended Jacksonville High School and is a 1996 graduate of the University of Central Arkansas with a Bachelor of Business Administration. He graduated from the University of Arkansas at Little Rock Bowen School of Law in 2001. The following year, Dale was admitted to the practice of law in Arkansas and the U.S. District Court for the Eastern & Western District of Arkansas. 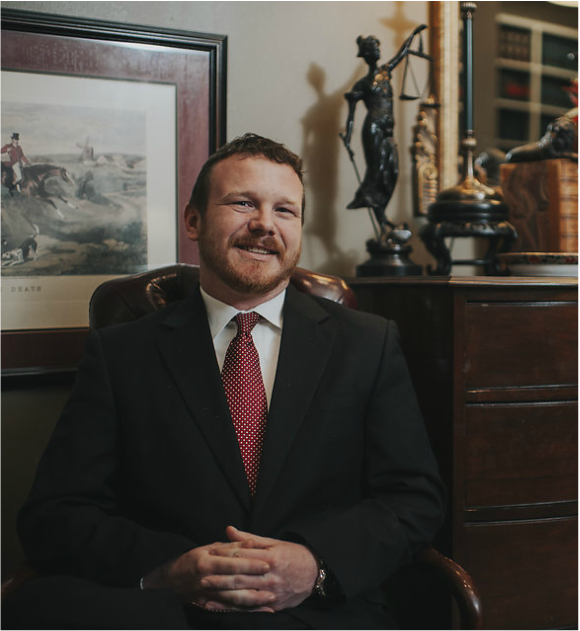 Dale began his practice as an associate with James R. Wallace & Associates and became a partner in 2006.He is a member of the American Bar Association, Arkansas Bar Association and the Pulaski County Bar Association. He has been certified by the Administrative Office of the Courts as a Domestic Relations Attorney Ad Litem, Dependency/Neglect Ad Litem and Dependency/Neglect Parent Counsel. Dale is married and has three children: a son and two daughters. He is a member of Mercy's Cross Church in his home community of Sherwood, Arkansas. Dale's areas of practice: Family Law, Criminal Defense, Social Security Disability, Bankruptcy, Personal Injury, and Juvenile Law. Our office is located on the first floor of the historic Centre Place building. We are on the west side of Center Street between 2nd and 3rd Streets. NOTICE: PLEASE DO NOT SEND E-MAIL CONTAINING INFORMATION THAT IS SPECIFIC TO YOUR CASE, OR INFORMATION WHICH YOU WISH TO MAINTAIN AS CONFIDENTIAL. E-MAIL COMMUNICATIONS MAY NOT BE USED TO DISQUALIFY THIS LAW FIRM FROM REPRESENTATION OF ANY PARTY TO LITIGATION, AND THE RECEIPT OF E-MAIL FROM YOU DOES NOT CREATE AN ATTORNEY-CLIENT RELATIONSHIP.